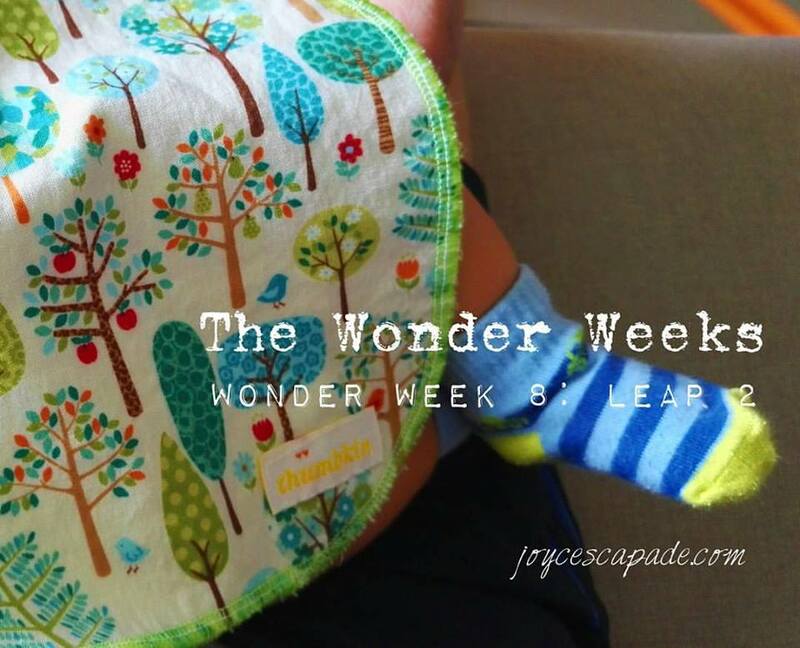 Wonder Weeks are periods when your baby experiences growth spurts during which your baby is extra sensitive and can be very cranky, clingy, and crying more frequently. 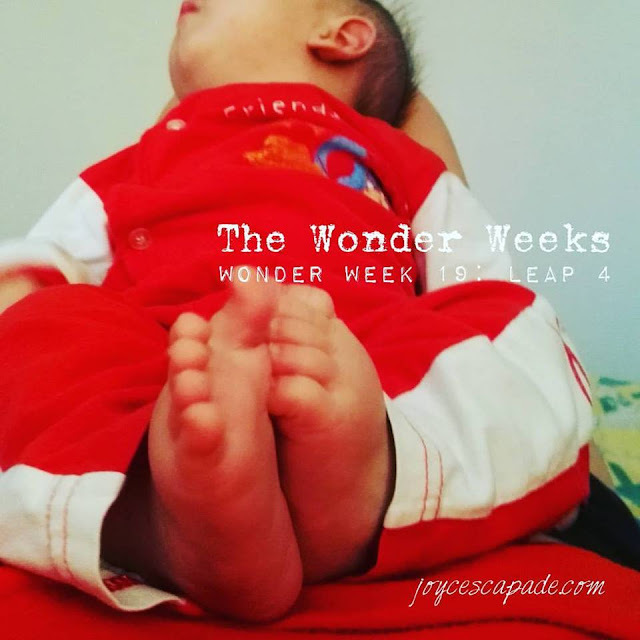 There are ten Wonder Weeks in the first 20 months of a baby's life and can last anywhere from three days to a few weeks. 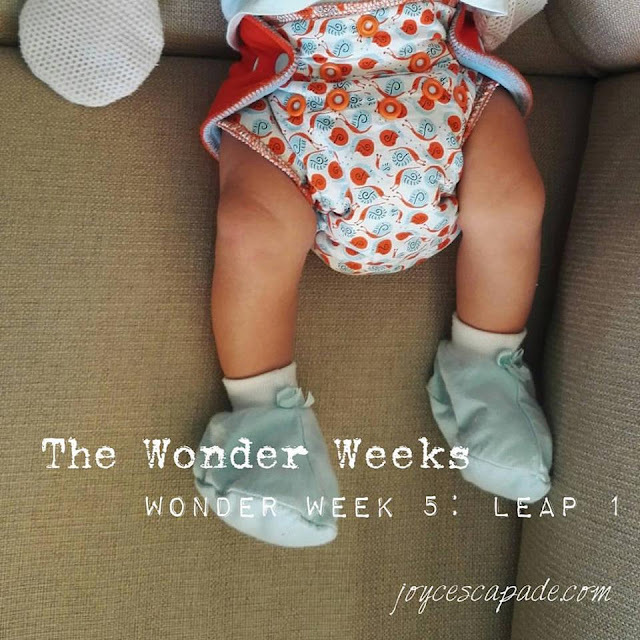 At about 5 weeks, your baby will begin to take the first leap forward in his development. New sensations bombard your baby inside and out, and he's usually bewildered by them. Some of these new things have to do with the development of his internal organs and his metabolism. Others are a result of his increased alertness—his senses are more sensitive than they were immediately after birth. So it's not so much the sensations themselves that are changing, but rather the baby's perceptions of them. Sometime around 8 weeks, baby begins to experience the world in a new way. Expect the fussy period associated with this update of baby's brain around seven to nine weeks. There might be an increase in 'The Three Cs' – Clinginess, Crankiness and Crying. 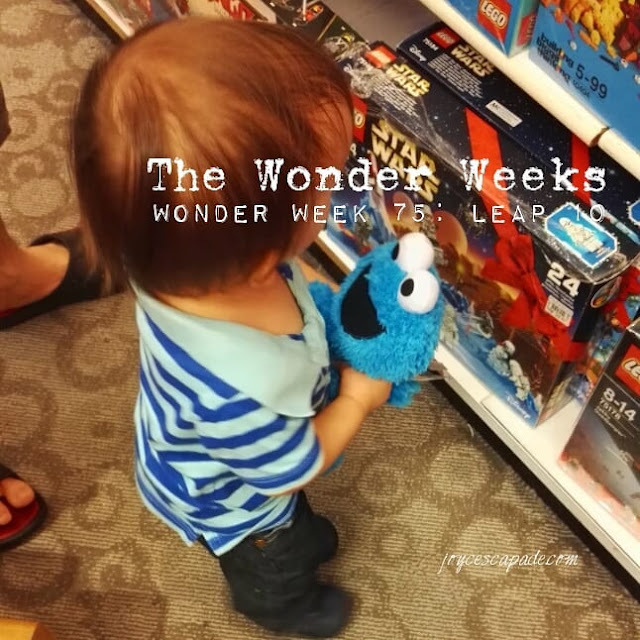 Baby will be able to recognize simple patterns in the world around him and in his own body. He may discover his hands and feet and spend hours practicing his skill at controlling a certain posture of his arm or leg. He'll be endlessly fascinated with the way light displays shadows on the wall of his bedroom. You might notice him studying the detail of cans on the grocery store shelf or listening to himself making short bursts of sounds, such as ah, uh, ehh. Any of these things—and a whole lot more—signal a big change in your baby's mental development. This change will enable him to learn a new set of skills that he would have been incapable of learning at an earlier age, no matter how much help and encouragement you gave him. What to do to help: He'll need lots of contact and reassurance while he goes through this period. Watch for cues he's becoming over-stimulated, and offer extra breastfeeds and cuddles to help him relax. In the lead up to Leap 3, baby may sleep less, wake more easily and settle best when you hold him or use a baby carrier. He'll fuel the rapid brain development with more breastfeeds and will also seek comfort at the breast. Around 10 weeks or 11 weeks, there is a significant increase in babies' head circumference, a sign of the increased mental development about to occur. The jerky, reflexive movements of the newborn are disappearing. The movements of his arms and legs are less spasmodic. He can turn his head from side to side, with his eyes and ears tracking sound and movement. Baby is developing awareness of what he sees before you feed him and may begin to show excitement or frustration as you position him near your breast. What to do with baby: Introduce toys with simple sounds and bright colors to engage his interest. Reading him simple stories with rhyming or rhythmic words and singing gentle songs will capture his attention and he will respond to the changing tone of your voice. More tummy time to encourage the lifting of his head and mobility towards rolling from tummy to back – typically occurring between 2 and 5 months. One of the highlights of this leap is the ability to conceptualize sequence of events, i.e. grab toy, inspect toy, put toy into mouth. Sleep regression is another highlight. My baby has a messed up nap time schedule nowadays. He just doesn't want to nap or he will wake up after a 10-minute cat nap. Night time sleep is still pretty okay with stretches of 3-4 hours before waking up to nurse. 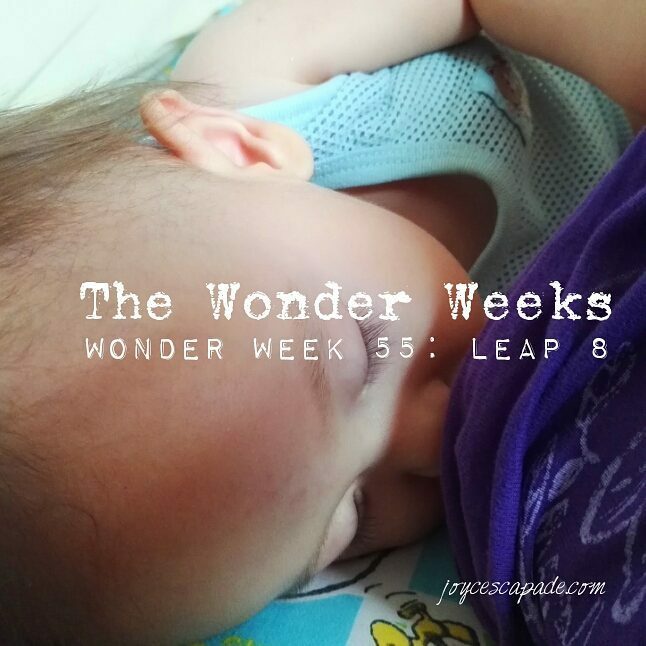 This is a rather tough leap with baby being extremely fussy, cranky, clingy, you name it. That's because he's improving in so many areas! He has really good neck control, good upper body strength, and is better at sitting up with support. He's also very responsive to what's happening around him and significantly more vocal and interactive. He can grab/swipe at toys with both hands too. And just like that, he's 4.5 months old. Baby is beginning to understand distance – especially as it applies to things he wants, but cannot reach! Stretching, reaching and manipulating his body towards his goal are very satisfying when he achieves his goal, and incredibly frustrating when his goal is well beyond his reach. This applies to everything from toys, household objects and people: especially his mother! As baby practices his vocal skills, you will find not only a range of sounds in his voice but also a range of volume! It can be startling when high-pitched squeals of delight first burst from your baby, especially if he was playing quietly just a moment ago and your baby loves your response to his unexpected sounds. Games, stories and songs where you vary the tone, pitch and volume of your voice will also delight him and you can see him trying to reproduce the sounds you make. Pat your fingers against his mouth while he vocalizes and a new game will quickly become a favorite, as will blowing raspberries on his belly. Anytime during week 37-40. What is baby going through? 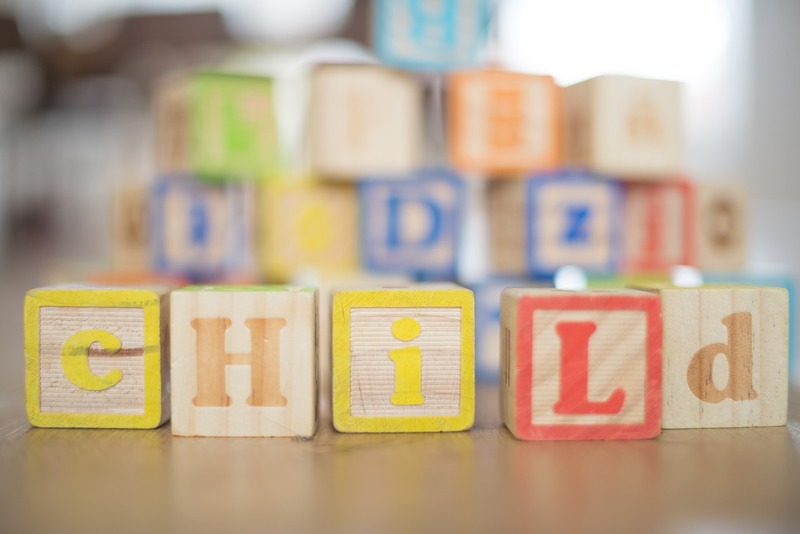 This is the leap whereby baby is able to recognize that various things can be grouped or categorized together, each with distinguishing characteristics and properties, and a desire to explore them. He is able to understand some words, recognizes his own reflection, plays games of peekaboo with himself, imitates others, expresses his moods, likes to play games, responds to music/songs, and is starting to practice crawling. My 10.5mo little cheeky chili has been going through Wonder Week 46 for the past few weeks. It has been very challenging but wow omaigawd he has grown so much! Google says Leap 7 is all about baby has begun to work out that things occur in a predictable order, so he's doing things less randomly, or persevering with one action before moving on to another. Disrupted sleeping pattern: YES. He's in the transition from two day-time naps to just one, and it takes time to adjust. Two naps might be too many, and one might not be quite enough, which means he's unsettled and routines disrupted. Not only so, his day-time nap patterns are also disturbed due to increased mobility and mental development. Google's advice: Adapting to change, and going with the flow while baby moves into a new pattern can be a challenge, but the transitional period is inevitable. 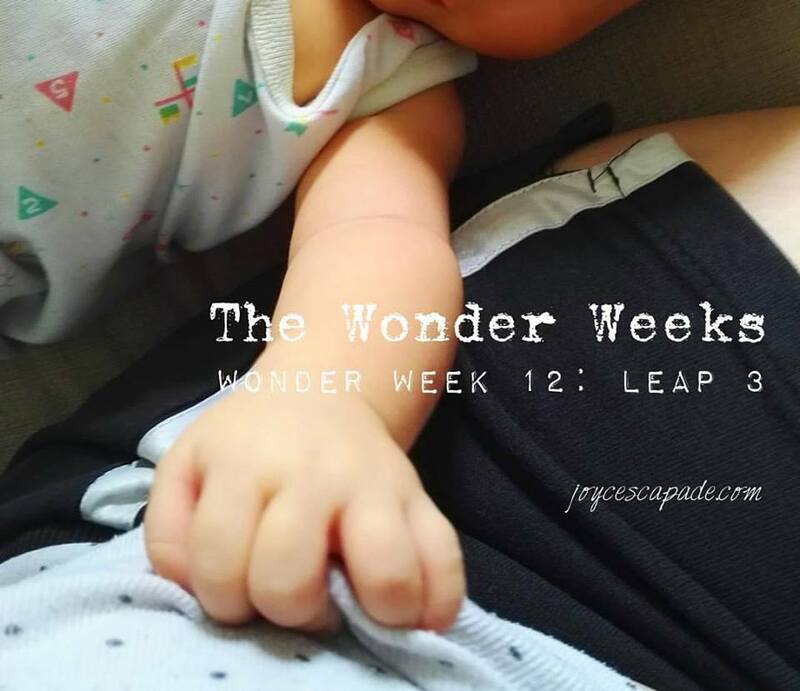 By the way, this leap lasts up to 7 weeks. 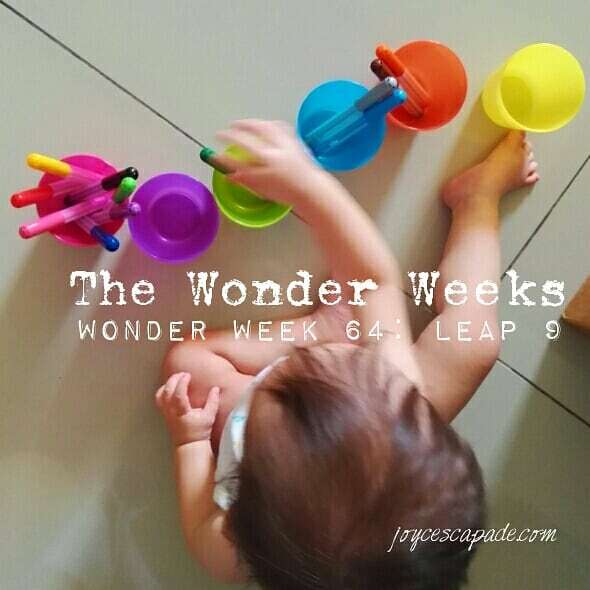 Known as the world of programs, this is the developmental leap where baby seems even more like a little person with his own way of approaching the world. 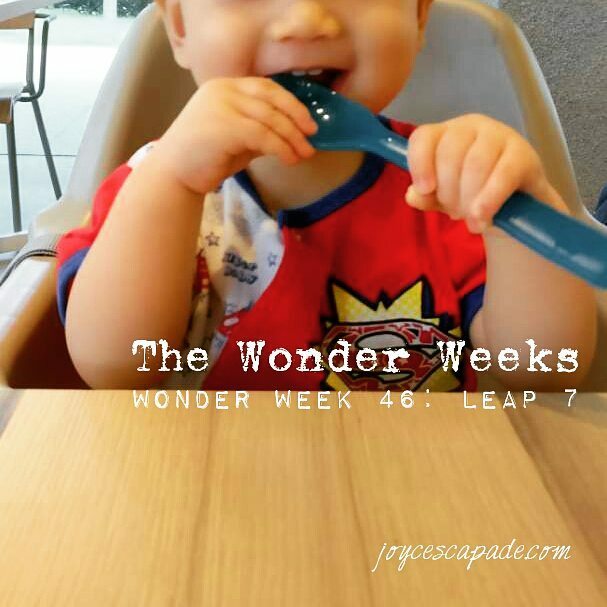 This wonder week lasts up to 6 weeks. Omg. He cries quicker than usual, somewhat temperamental and can be unmanageable. He's easily jealous and can be moody i.e. happy, then sad, then angry with no apparent reason for the change in his moods. He wants to be around Mama/Papa all day long. He may cling to either parent to stop them from leaving or he may want to be carried all the time. Breastfed baby will nurse more often because he wants to stay close to Mama. Sometimes, he just keeps coming back for "Mama refill" where all he seems to need is some brief contact with Mama before he's off again. His napping and sleeping patterns are all over the place and he wakes up to nurse more frequently. He's more mischievous i.e. trying to get our attention especially when we're too busy to attend to him. He may have more temper tantrums and may go berserk as soon as he fails to get his way. Tantrum may happen out of nowhere, perhaps because he's anticipating that we may not allow him to do or have what is on his mind. 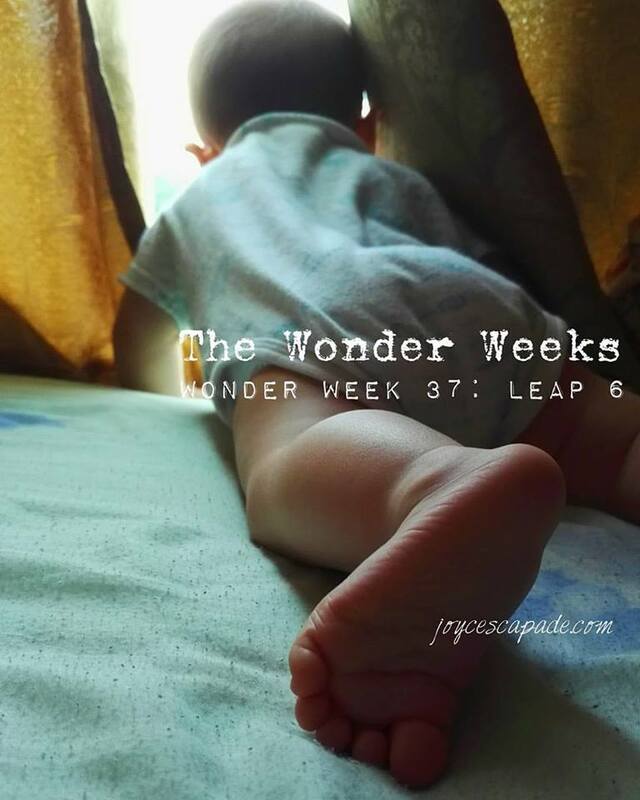 Leap 9 at Week 64 is described as the penultimate leap in The Wonder Weeks. He can say and understand more words and syllables. I just heard "night night" from him last night. He can say pa pa, ma ma, ke ke (almost sounds like kor kor), bo bo and some other sounds to distinguish grandma from mama. He can also say na na (meaning banana). He loves imitating others (facial expressions and sounds). This is very fun! He loves doing the bless sign during prayer time before sleeping. He will bless everyone with his little index finger automatically when we say bless. He has an ever-ready toothy grin and gives a cute wave of his hand for anyone who smiles at him. Oh uh. He loves songs and cartoons. He absolutely adores Hi 5, Elmo, Bert & Ernie. He will rush to the TV when songs are being sung and start dancing. His favorite dancing song is Elmo's: Happy happy dance dance! Happy happy dance dance! When we learn something new, we do the happy dance dance! 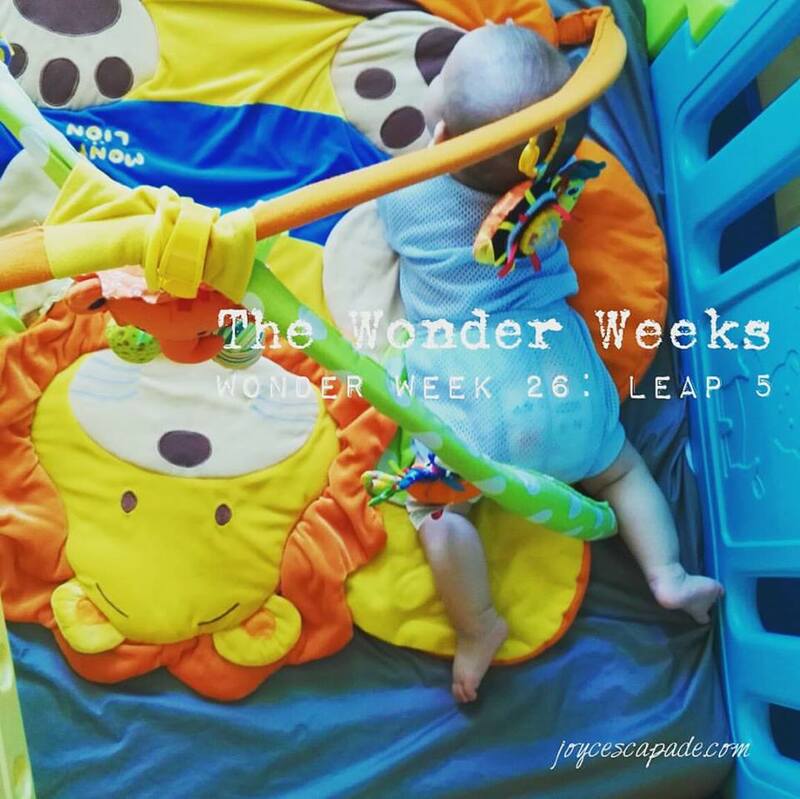 Wonder Week 75 = the tenth leap = 17 months. Toddlers this age get the new ability to choose how they want to behave. Notable achievements includes increased vocabulary (understands and speaks more mono syllable words), crazily mobile and active, very curious, loves joining in when nursery rhymes are sung, and very game and eager to participate in new activities. He's still taking his daily 2-hour afternoon nap. Top two canines are emerging. Can be quite clingy. Can play independently for a little while. Favorite shows are Sesame Street and Furchester Hotel.